This week Mexico is celebrating “El Dia de La Bandera Nacional” or The National Flag’s Day and I would like to share this tradition with you. 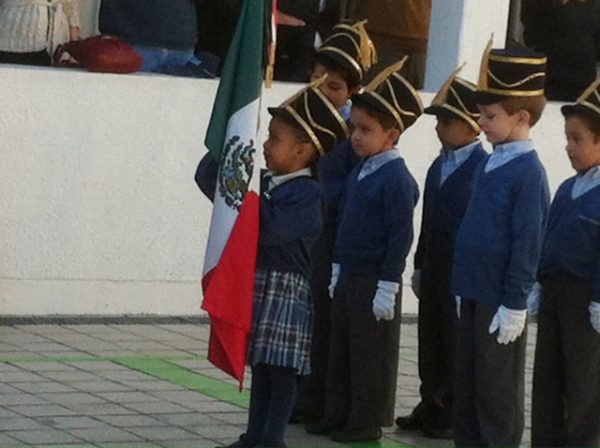 The photo above is my beautiful niece Maria Camila as the flag-bearer at her school’s ceremony in Guadalajara, Mexico. The flag’s colors are green, white and red, which are the colors of the Mexican national liberation army. The meaning of the colors is green for hope, white for unity and red for the blood of the national heroes. In the middle, the central emblem or escudo is an eagle standing on a cactus devouring a snake, which symbolizes the founding of Tenochtitlan- now Mexico City, where the Aztecs founded their city and empire. For a printable coloring sheet of the Mexican flag click here. For printable sheets of flags from around the world click here. 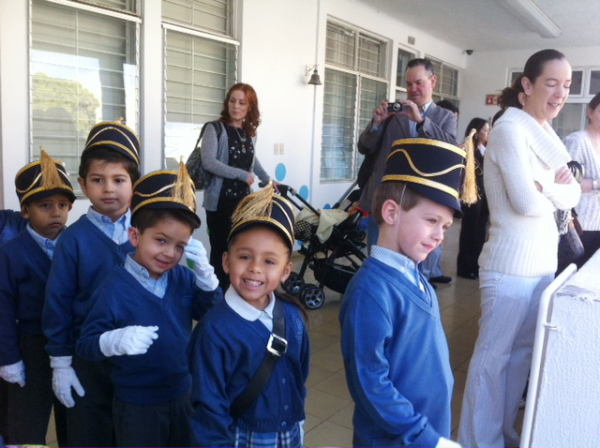 Do you have a National Flag Day in your country? How do you celebrate it? Join our conversation at SpanglishBabyPlayground where we will also share children’s poems to the Flag!